Just over 25km cycled. Leaving Faro involved snaking through back roads but I was eventually allowed back onto the N125. Not that there is much joy on this road; poor surface, heavy traffic, no real view… But it’s a necessary evil. 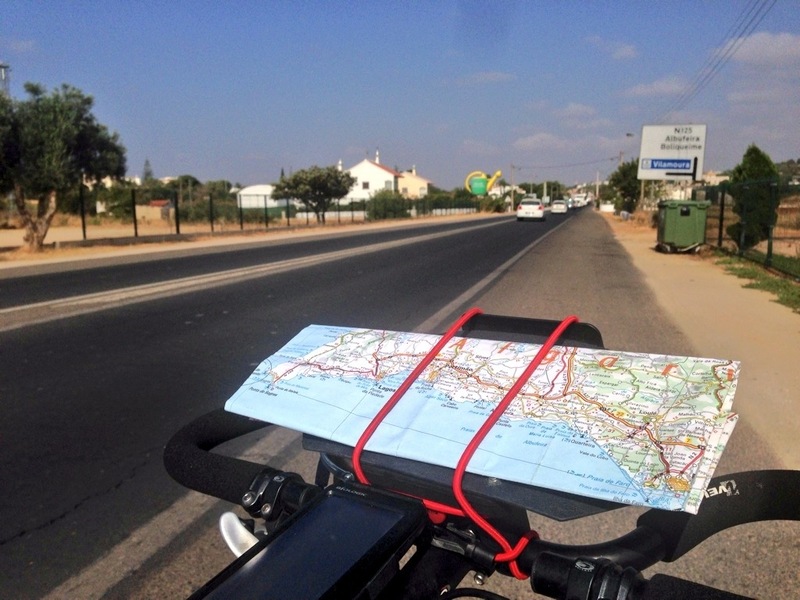 I’ll pause for coffee in Albufeira at 42km and then lunch in Portimão after 66km. The motorway heading north will hopefully thin out the traffic a little – that’s coming soon – but I’m very much looking forward to the ride west of Lagos. Updates throughout the day! Don’t forget the Sardines in Portimao.